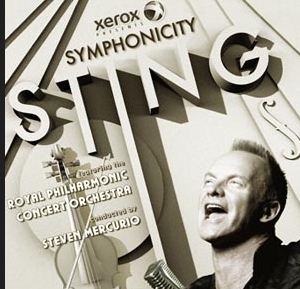 We are pleased to announce Sting, accompanied by the Royal Philharmonic Concert Orchestra as conducted by Maestro Steven Mercurio, has expanded this autumn's Symphonicity tour with new dates in Stockholm, Helsinki, Berlin, Koln, Antwerp, Hamburg, Frankfurt, Stuttgart, Turin, Vienna, and a second concert at London's Royal Albert Hall. With the exception of the second London show, which is on public sale now, Helsinki, which will go on sale to the public beginning on 7 June and Antwerp, which will go on sale to the public beginning on 3 June at tickets for all shows go on sale to the public beginning on 4 June at various starting times. Please consult the below schedule for information. Legacy Fan Club members will have a one hour advance window when Fan Club sales begin, after which the sales will open up to all members. A special Fan Club post-sale will occur for the newly added London concert on 1 June at 3pm (local time). Members will be limited to two tickets in this post-sale.